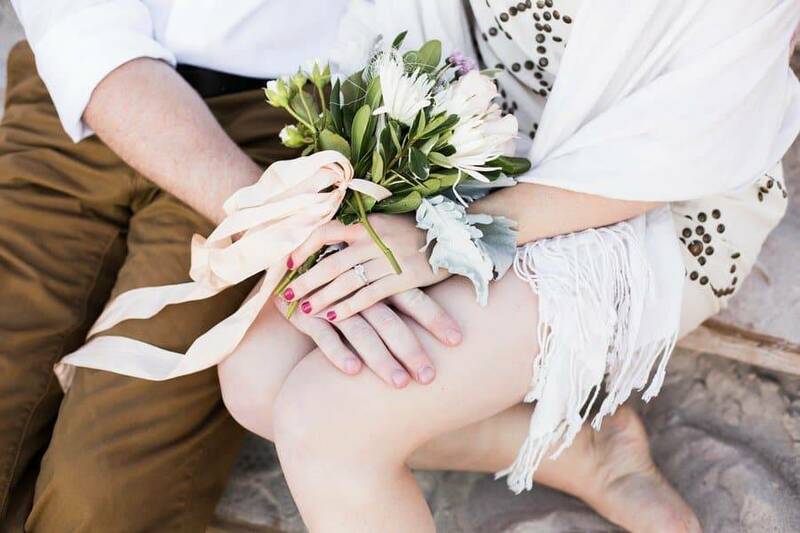 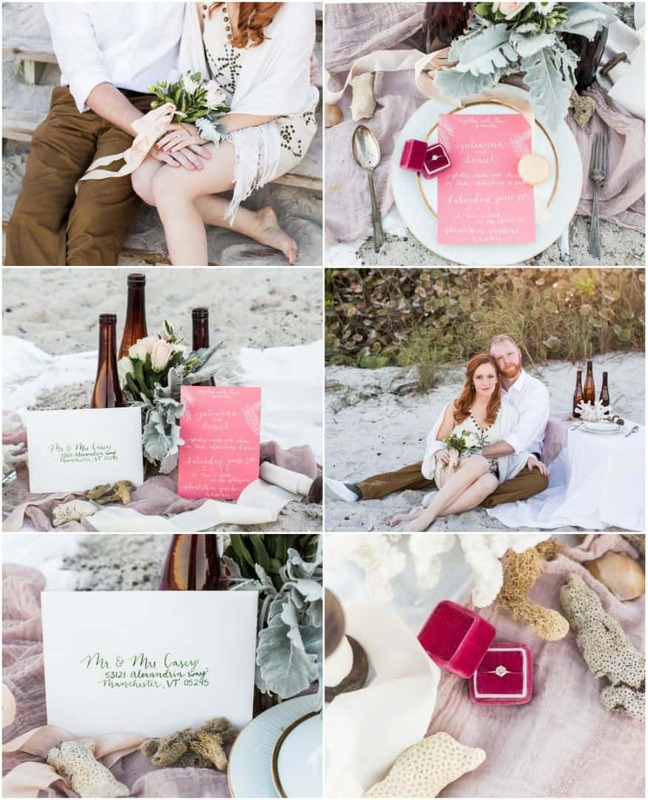 This is one tropically romantic wedding shoot where casual meets boho can be the inspiration you have been looking for! 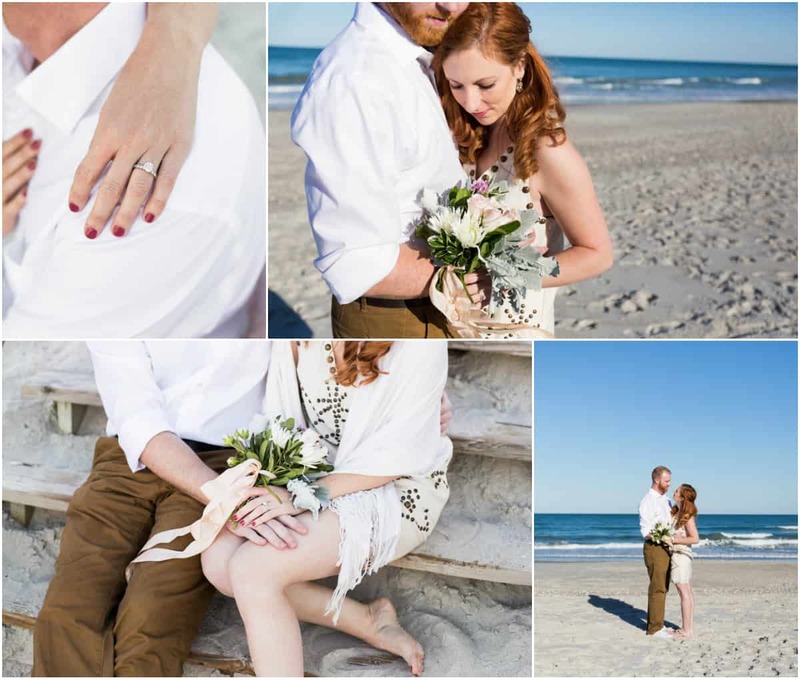 Molly and Nic in ivory and burnt brown were nestled at the beach side with the palms behind them, and the horizon directly in front of them. 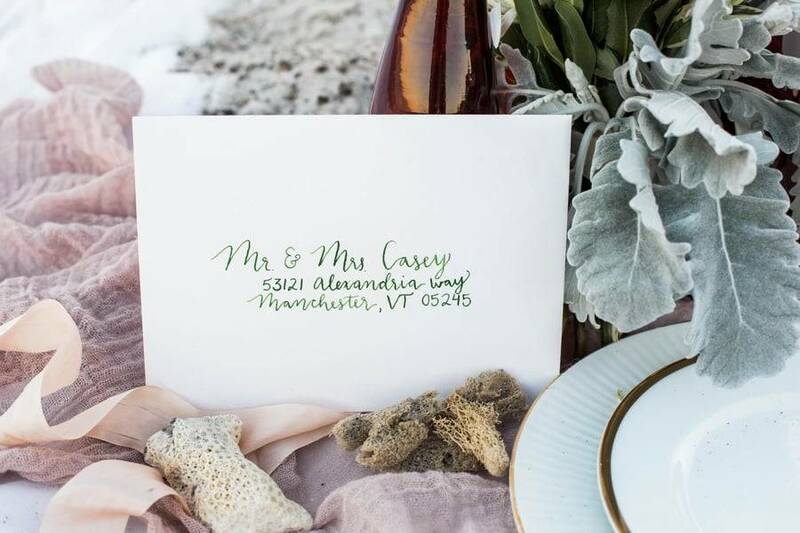 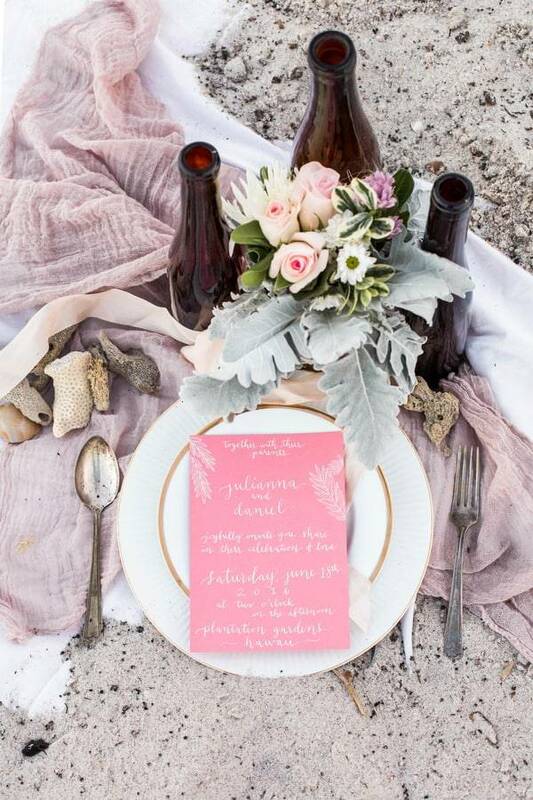 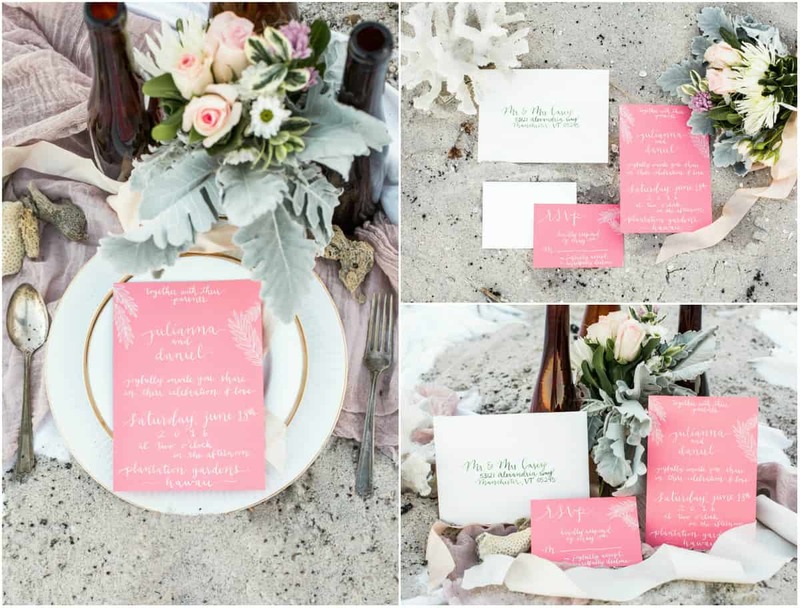 Indulged with tropical flowers and vintage bottles, hand calligraphed pink invitation against the sandy shore, these two clearly had so much fun in this day. 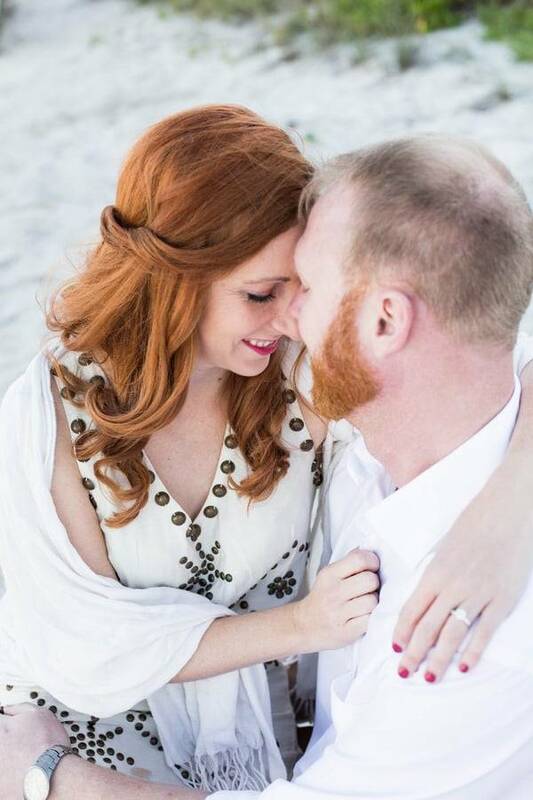 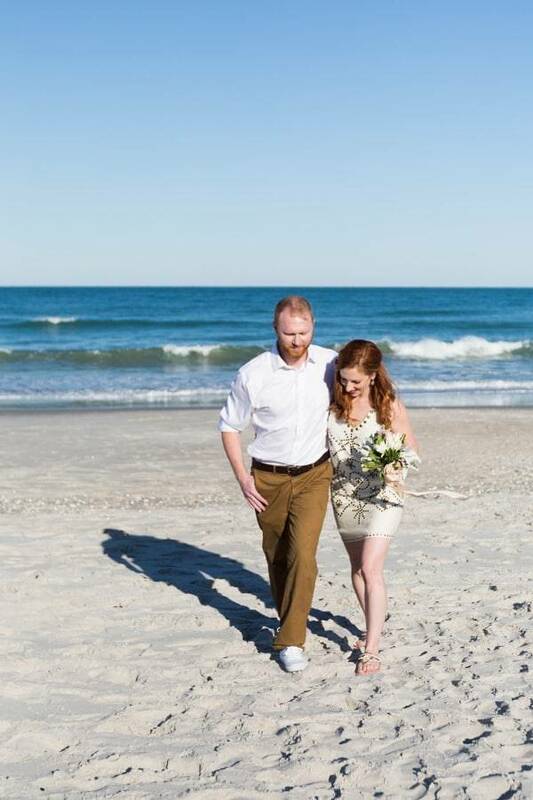 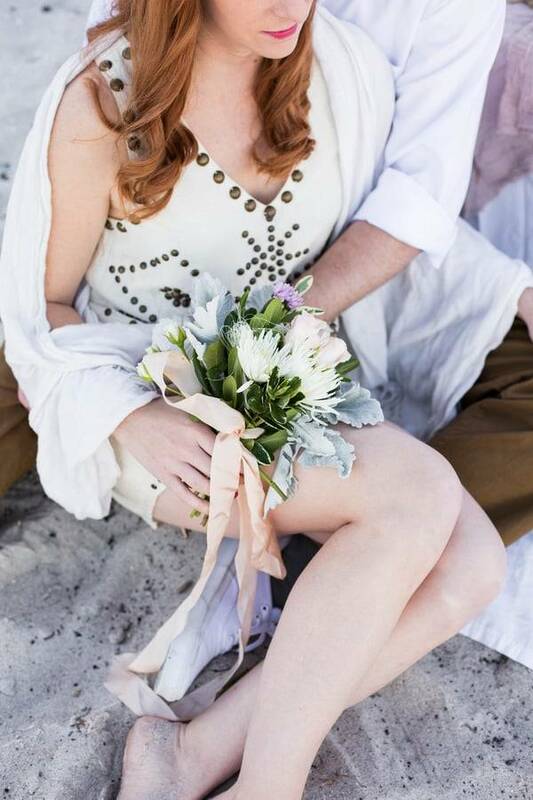 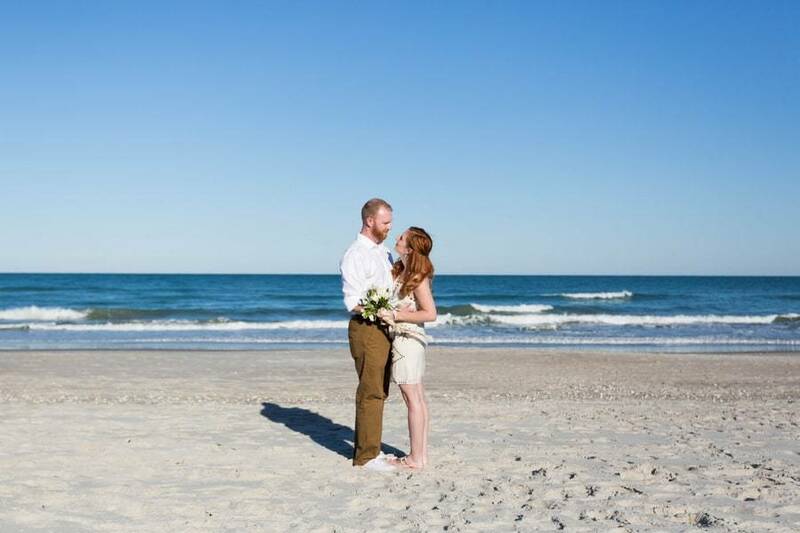 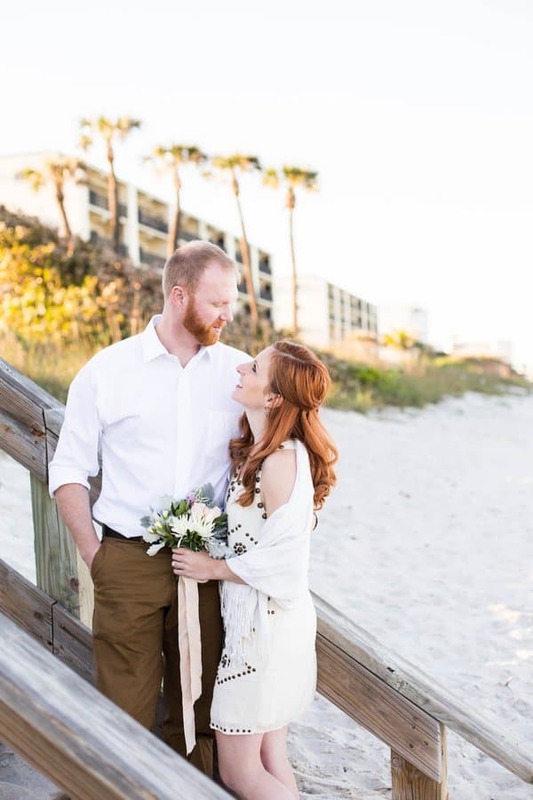 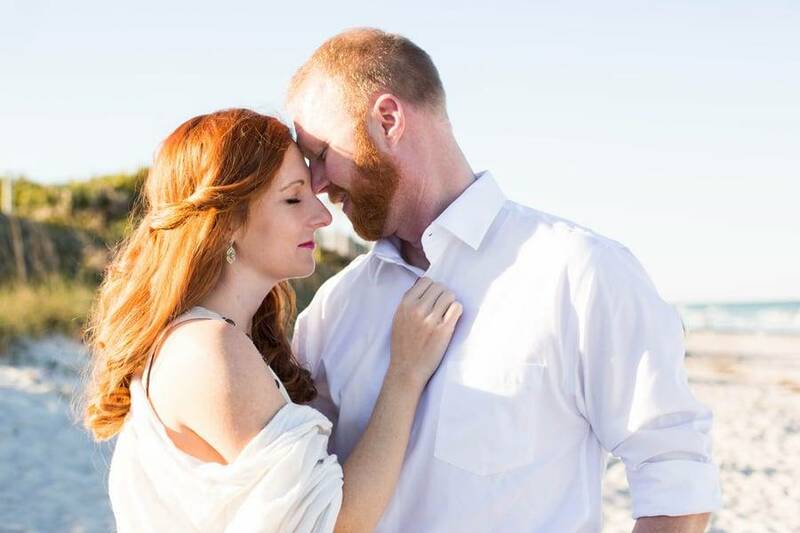 Molly wore an ivory boho BCBG dress while we had Nic in burnt slacks; contrasting the picturesque scene is her beautiful red hair that set the tone for the shoot. 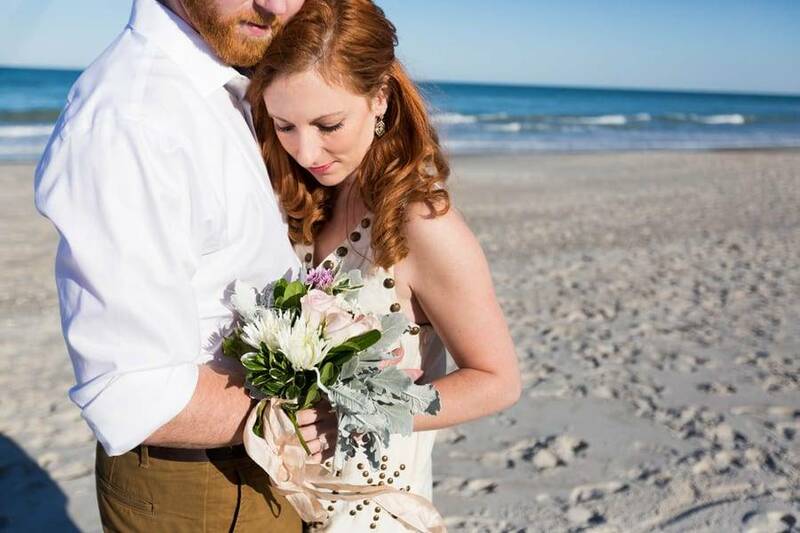 Molly’s mini bouquet was filled with dusty miller, garden roses, green ivy, and one white daisy. 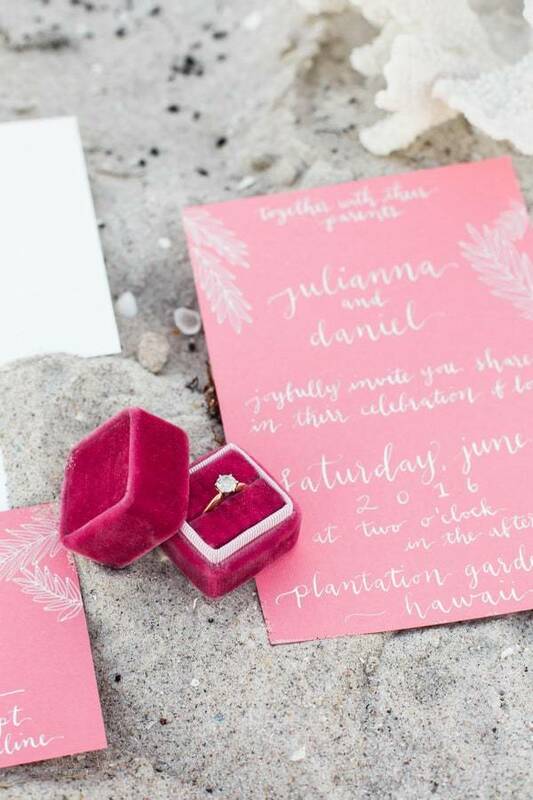 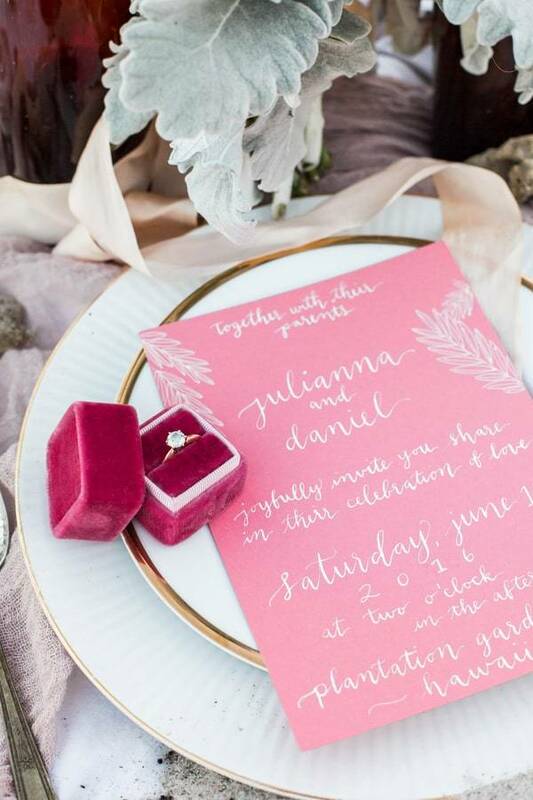 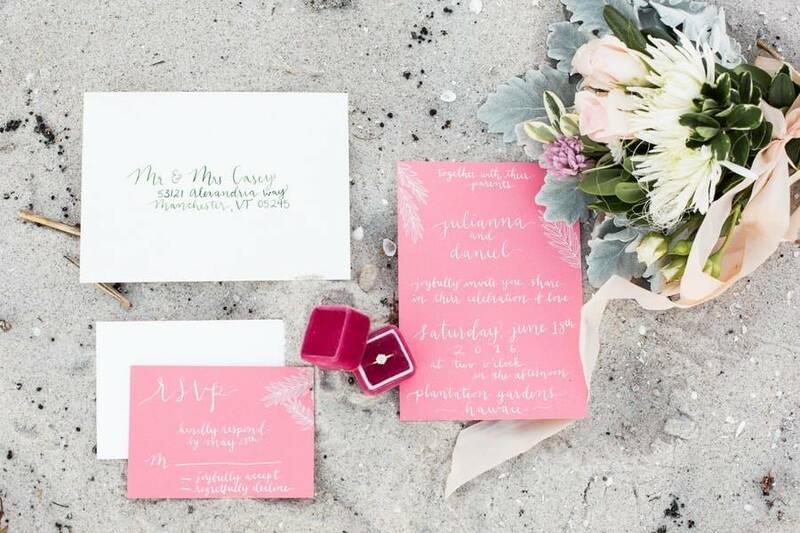 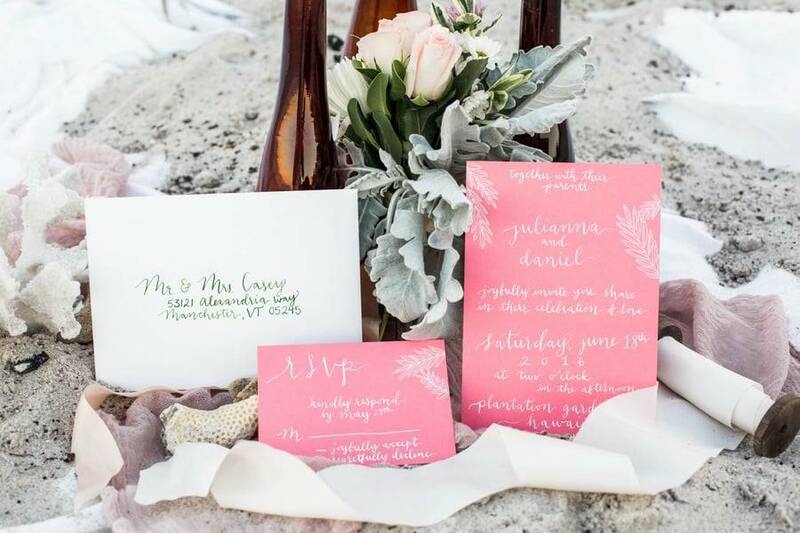 Their hand calligraphed pink invitation suite designed by Kristen of Kristen Marie Design brought in that tropical romance the team hoped to capture. 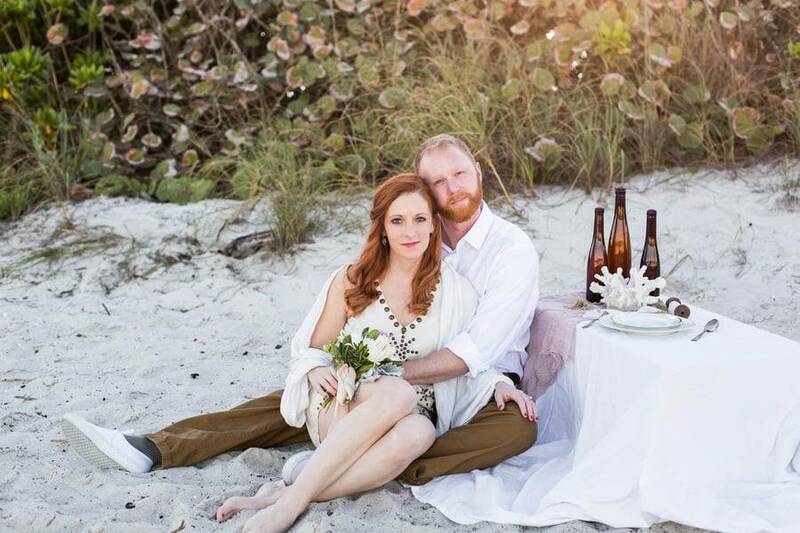 They cozied up together in their new love as the sun went down on their beautiful set. 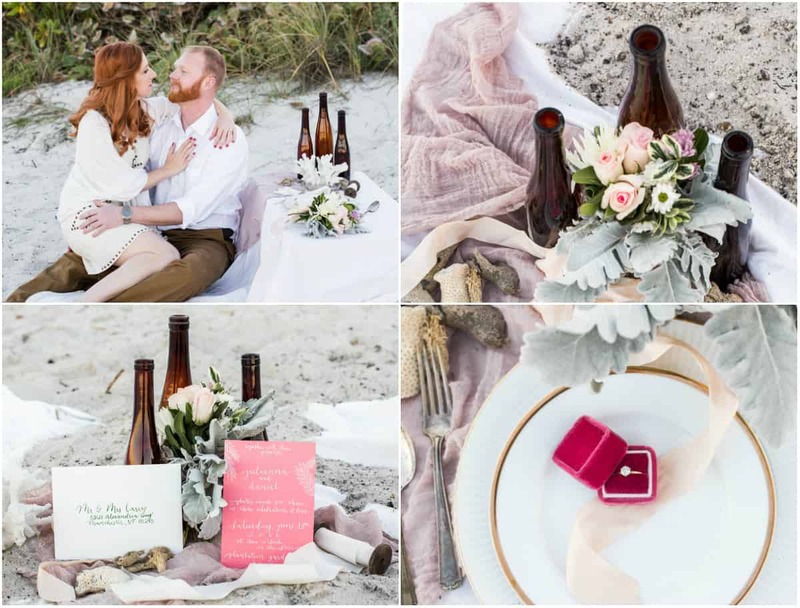 Every detail was easily DIY-ed from the vintage bottles, to the sea sponges, to the homemade trader joe’s floral arrangement! 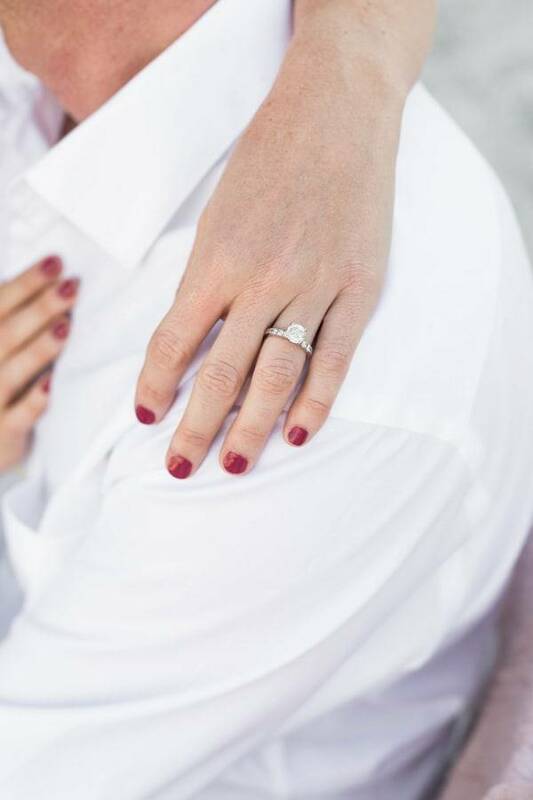 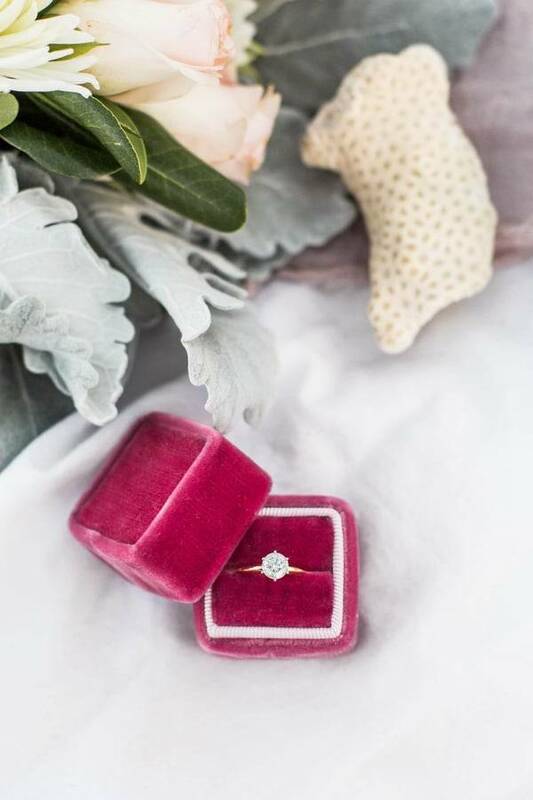 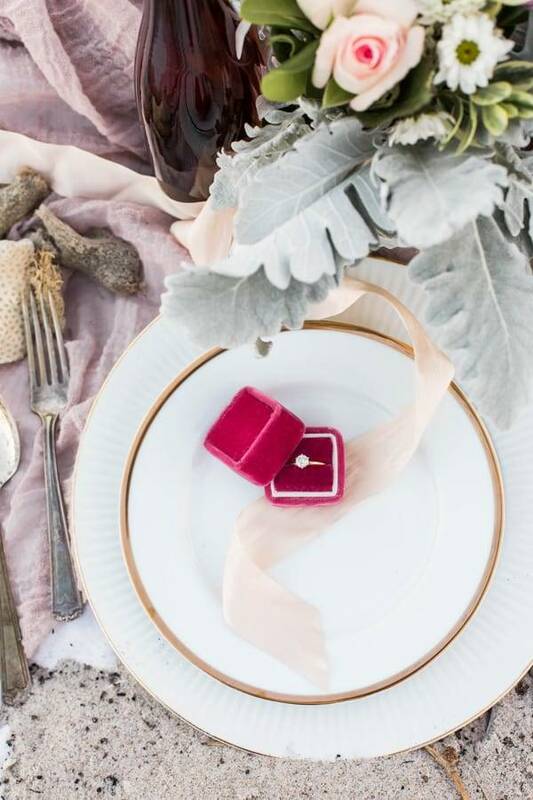 The engagement ring being one of the most important detail in a shoot sat on a fuschia pink cushion box which looked so elegant in all angles.